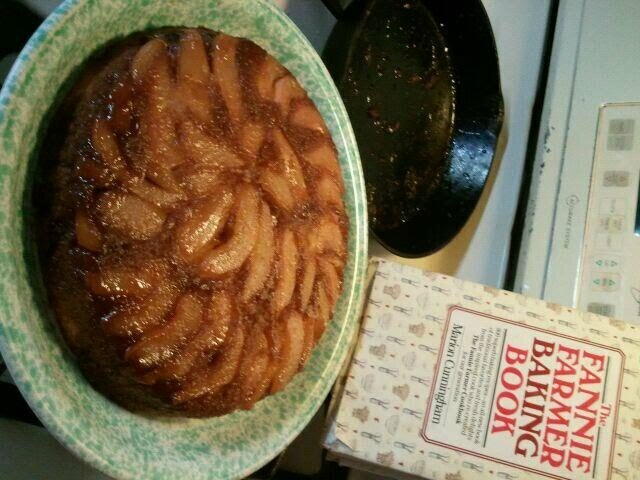 Back to last Saturday… Once my cake was baked, I placed it in my car and began my drive out to the garden. As I headed up the street I saw our friend Steve setting up a yard sale. I pulled over (no screeching brakes I swear!) and noticed he was selling mostly toys that his grandson has outgrown. Since my ‘kids’ are 19 and 23, I wasn’t in need of toys, so instead Steve and I started chatting. He told me that he made a quiche recently but he wasn’t thrilled with the results and asked would I share my recipe with him. I told him that I relied on a ratio for my quiche filling. For the custard portion of a 9″ deep dish pie, I use 4 eggs, 2 cups of half and half (or whole milk if I am trying to lessen the caloric content) and then add 2 cups of grated cheese (usually cheddar or swiss). Of course, you’ll still need to add some sautéed vegetables (and cooked sausage or bacon if you’re so inclined) but that’s about it. Just about then the yard sale got busy. I knew I had to get to the garden so I promised Steve I’d write the recipe down and get it to him later. 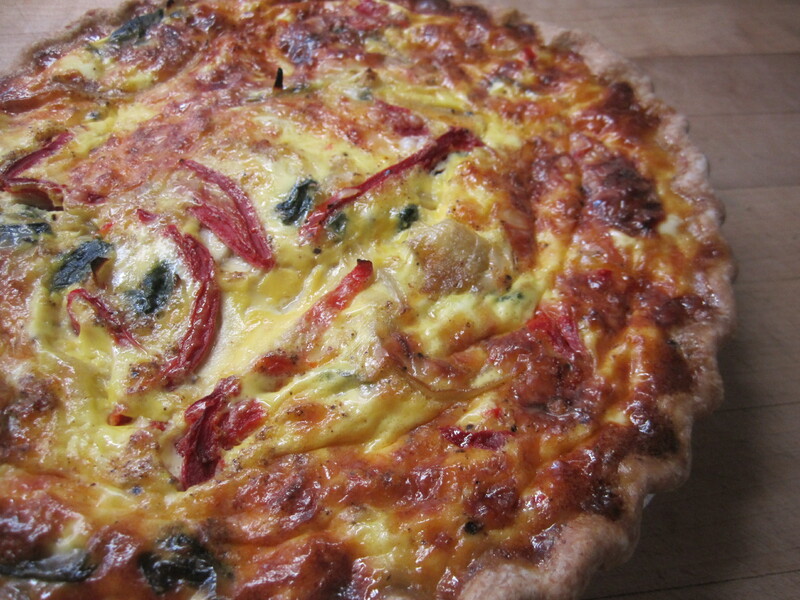 Well, a few days later I still had not written down the recipe, and I thought of how amazing Steve and Ellie are for adopting their grandson and putting all their time, love, and energy into raising him… and before you could say “Jiminy Cricket” I had a quiche in the oven for them. A short while later I knocked on their door and handed Ellie the quiche still hot from the oven… with the promise that I would get the recipe to Steve soon. Ellie thanked me and gave me a big hug and I was off. 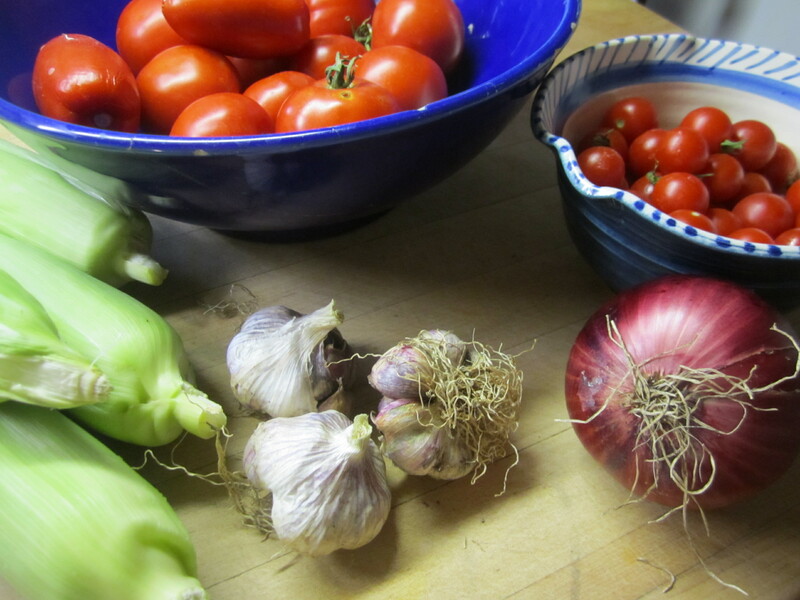 The very next day I wanted to prepare fresh tomato sauce for the Baked Manicotti that I was making for guests that evening when I went into my pantry and found only one onion when I really needed two. I began thinking of who might have an onion I could borrow when there was a knock at the door. When I opened the door, there was Ellie handing me several paper bags filled with goodies from her garden… including 2 onions! The bounty from Ellie’s garden! This sort of occurrence might fall under the heading of serendipity or luck, but I like to think that there is a grander scheme that we are all a part of and that sometimes – if we are lucky – we get to glimpse its magic. Coincidence is the word we use when we can’t see the levers and pulleys.